Fascinating Aida’s Liza Pulman, acclaimed singer and comedian, celebrates the legend of Barbra Streisand with her fabulous band, in this hugely successful and critically lauded five-star triumph. 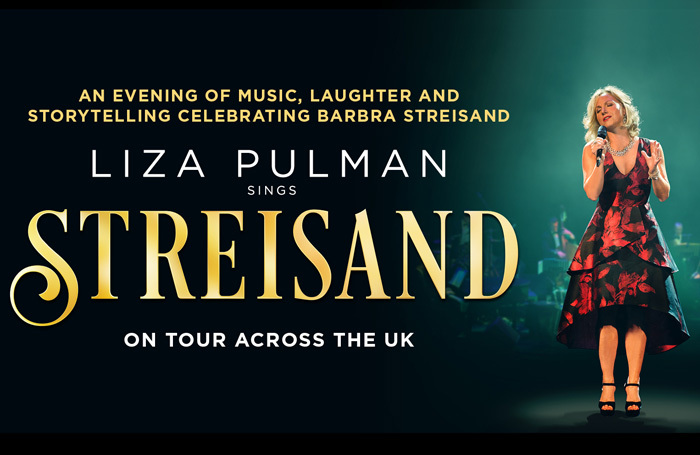 To win a pair of tickets to see Liza Pulman Sings Streisand at the Other Palace, London, go to thestage.co.uk/competitions  and enter your details and put LIZA in the code box. Entries close at midnight on September 23. Terms and conditions: Valid for performances on either October 15, October 28 or November 11, subject to availability. Travel and accommodation not included. Prize not transferable, non-refundable. No cash alternative. By entering the competition you agree to your contact details being passed securely to a third party who will only use them for the purpose of this competition and to your name being published in The Stage newspaper.